Many companies that deal in commodities linked to heavy tropical deforestation, such as soy or timber, have made commitments to significantly reduce or end deforestation in their supply chains by 2020. About 82 percent of such companies rely on deforestation-free certification to ensure products meet their standards, according to CDP, a London-based NGO formerly known as the Carbon Disclosure Project. But traditional certification methods have shortcomings. Usually, certifying bodies—like the Roundtable on Sustainable Palm Oil (RSPO) or Bonsucro, which certifies sugarcane—deal individually with mills or plantations. The onus is on each farmer or each company to invest in meeting the standards for certification. This is especially difficult for small-scale farmers. The jurisdictional approach streamlines some of the processes with all stakeholders involved, from local governments to large mill owners to small-scale farmers. In general, the jurisdictional approach is much broader than jurisdictional certification. For example, the government and larger companies pay for mapping and monitoring. This ensures that farms are not in protected areas and that farmers are not cutting down trees to expand their fields. It also takes the financial burden off smallholders to meet this requirement for certification. The government also helps with making permitting less costly and time-consuming. A few regions have led the way in the jurisdictional approach, including the Brazilian state of Acre, which began using it almost 20 years ago. As a result, from 2002 to 2010, Acre reduced deforestation by 60 percent while still increasing its real gross domestic product (GDP) by 62 percent, according to the Environmental Defense Fund (EDF). Acre hasn’t achieved jurisdictional certification yet, though it is interested in doing so. In Peru, the San Martin region in the north is working toward being able to market its hallmark product, coffee, as deforestation-free across the district, explained Daniel Nepstad, forest ecologist and executive director of California-based non-profit Earth Innovation Institute (EII). In 2013, inspired by the successes of Acre and San Martin, EII started pilot jurisdictional programs in Brazil’s Mato Grosso state. Like Acre, Mato Grosso is interested in working toward achieving jurisdictional certification. A program has also been proposed in Indonesia’s Seruyan district, but hasn’t gotten off the ground there yet. According to Nepstad, jurisdictional certification is most advanced in the RSPO, with pilots in Seruyan and Kotawaringin Barat Districts, Central Kalimantan, also in Indonesia. The state government of Sabah, Malaysia, also launched a jurisdictional pilot in 2015 which has progressed well. And in October 2016, the government of Ecuador announced that it would work toward jurisdictional certification for the entire country. The major agro-business state of Mato Grosso produces 27 percent of the soy in Brazil, 25 percent of the corn, and 19 percent of the beef, according to the EDF. The eagerness of the state’s governor, Pedro Taques, to improve sustainability has proven important in the jurisdictional approach, according to Nepstad. He added that in terms of government support, a history of poor performance by regional governments has often caused the sustainable development community to focus on approaches that do not depend on government. Despite that, an increasing number of government leaders are factoring sustainability into their work, creating potentially the right conditions for the spread of the jurisdictional approach. That’s partially evidenced in the Governors’ Climate and Forests Task Force, which now includes governors who represent one-third of the world’s tropical rainforests. Most of them have signed the Rio Branco Declaration of 2014, committing to reduce deforestation rates by 80 percent by 2020. A condition, however, is placed on the Rio Branco commitment that long-term performance-based funding must be available. Financial incentives are also a concern in Mato Grosso and pilot projects in other regions. One source of funding is the UN’s REDD+ program (reducing emissions from deforestation and forest degradation). REDD+ gives projects and districts money in exchange for the amount of carbon reduction they have achieved. That money comes from places like California, where the state government has legislated contributions to REDD+. 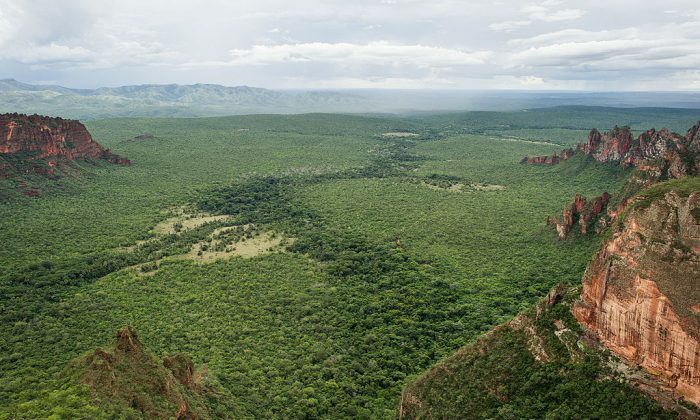 Mato Grosso does not currently have any REDD+ programs, but does have a strong REDD law that creates the legal framework for jurisdictional sustainability. Joao Shimada, who leads EII’s work in Brazil, said that they are laying the groundwork to qualify for the programs. Another financial incentive is the market interest in sourcing from an entire region. Shimada said that a major shortcoming of traditional certification schemes is that they are limited to relatively small quantities. Mato Grosso has an advantage when dealing with large customers like the China Soybean Industry Association, which imports more than 60 percent of the global trade in soy and has been strengthening its commitments to sourcing sustainably. The Chinese association buys some 8 to 10 million tons of soy from Mato Grosso annually. “The [traditional] certification schemes use the farm-by-farm approach, so you will never achieve a huge volume, for example for the Chinese market,” Shimada said. Shimada said that Mato Grosso is also in discussion with the European Feed Manufacturers’ Federation, which imports some 30 million tons of soy per year. The traditional certification body Round Table on Responsible Soy (RTRS) is certifying only about 2 million tons per year globally. Unilever, a major buyer of forest-linked commodities, has agreed to source from jurisdictions EII is working with. It is this kind of financial incentive that helps get all farmers and other players within a jurisdiction on board. But these incentives still fall short, Nepstad said. He notes that it will cost Mato Grosso some $10 billion to meet its goal of reducing over 4 billion tons of CO2. “Some of that can come from existing programs, but there’s some missing money there,” he said. There are challenges to the jurisdictional approach that include political turnover and uniting stakeholders who have traditionally held a deep mistrust of each other. To address the problem of changing leadership, pilot programs have legislated change as much as possible so it lives on in local laws. Stringent enforcement remains a challenge even under supportive leadership and especially under future leaders who may take a different position. 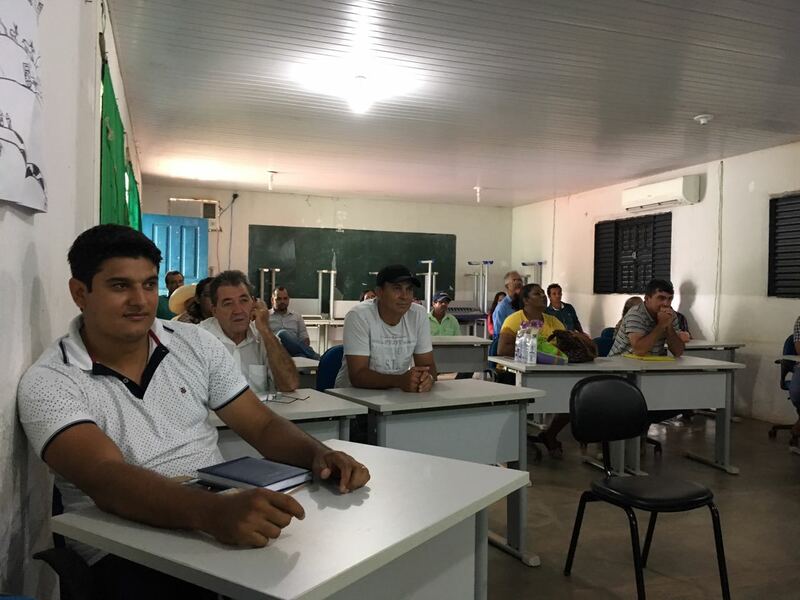 While NGOs, farming associations, and government officials in Mato Grosso collaboratively decided on standards, implementing them requires a tremendous amount of cooperation. There are big issues of trust. We spend a lot of time on…positioning ourselves so we can act as bridges between what have traditionally been warring factions, such as environmental NGOs and farm organizations. Shimada believes that a shortcoming of the jurisdictional approach—one that is also found in traditional certification—is that it doesn’t uphold the highest standards. He said it tends to cater to the lowest common denominator in order to make it easier for the worst offenders to improve and meet the baseline standards. Stefano Savi, chief communications officer for the certifying body RSPO agreed that this is a problem of certification in general. He said that raising the standards could discourage plantations facing the greatest challenges. “Shouldn’t we get everyone to really start jumping before we move the post?” he asked.